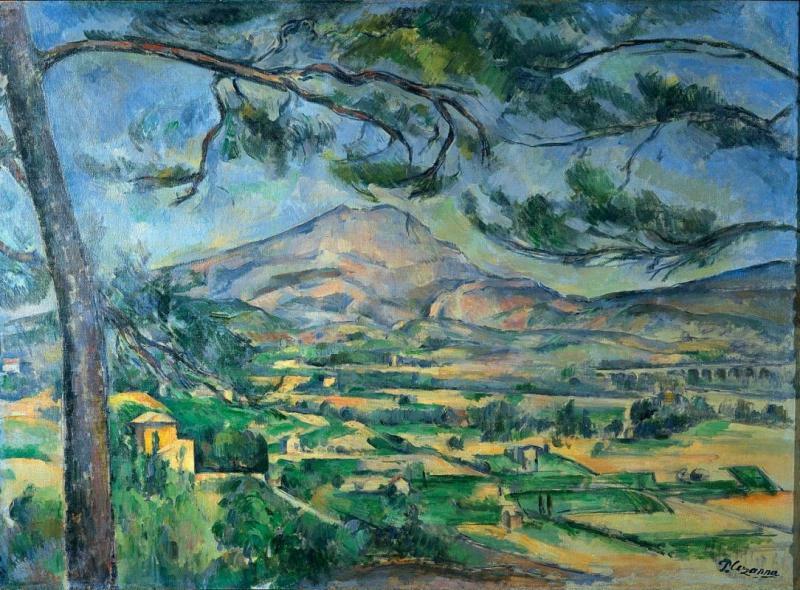 This painting by Cezanne is of Mont Sainte Victoire (Mount Saint Victoria in English). During his time in Aix, France he painted this mountain many time. The colors are mostly analogous blues, blue-greens and greens. He uses the tree to frame the image much like a photographer.